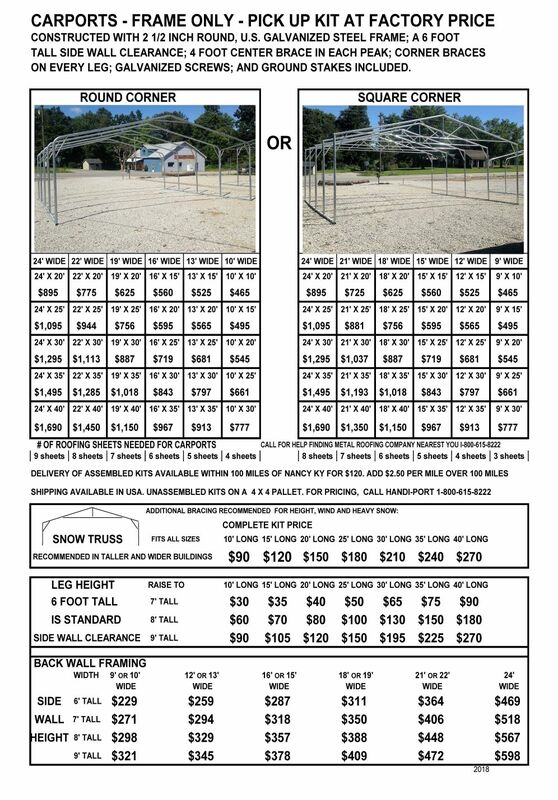 For the last 30 years, Wilson Manufacturing has built and installed our handi-port line of all steel buildings and covers. When you order with only a 10% down payment, we build your building in our factory and our crew will install your building on your property within 90 days. We are located in Nancy-Somerset Kentucky. Custom sizing and options are available. Unlike others, we have liability and workman’s compensation insurance for your protection! Copyright © 1991 Wilson Manufacturing, Inc.. All rights reserved.